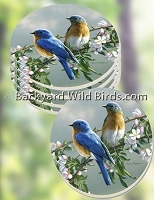 Bluebird Coffee Mug Pair is two large 15 oz ceramic mugs of Bluebirds in springtime. 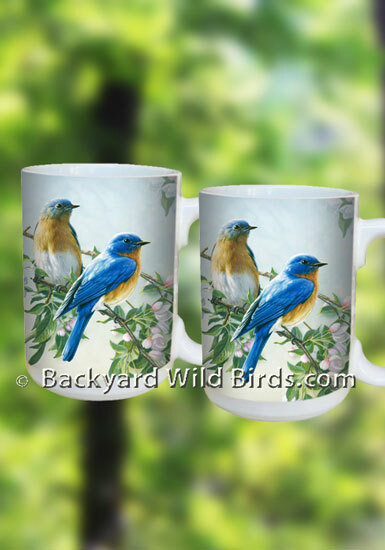 These Wild Bird Coffee Mugs are very nice artistic renderings of Bluebirds, a favorite backyard bird. Vibrantly printed with VOC Free, water base inks, the gorgeous art on these 15 oz. ceramic mugs will stay crisp and clear. These are dishwasher and microwave safe mugs and make a charming gift set. 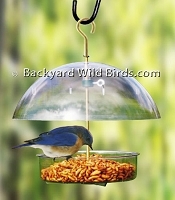 Order your set today or give as a gift.